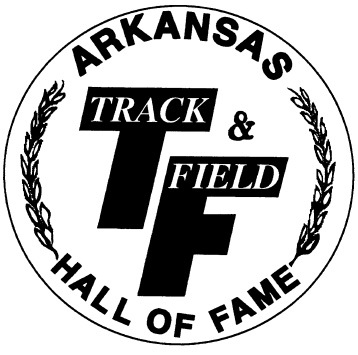 The Arkansas Track & Field Hall of Fame will induct its 25th class during a 6:30 p.m. banquet Friday, May 31, in the Silver City Ballroom of the Wyndham Riverfront Hotel in North Little Rock. All of the inductees are connected to Arkansas as track and field athletes, coaches, officials or contributors. “This year’s class features three retired high school track coaches with a combined total of more than 100 years of coaching tenure in Arkansas schools,” said Ernest Miller, president of the ATFHF. Those high school coaches include Kimmie Cleveland, whose career at Warren and J.A. Fair yielded five conference championships, three state championships and two state runner-up finishes following his track career at the University of Central Arkansas; Danny Westbrook, who coached 35 of his 36 years at Bryant High School before retiring in 2016, leading the Hornets to six state championships, five state runner-up finishes and 17 conference championships while being named the 2004 National Federation of High School Coaches Coach of the Year for Track and Cross Country; and Leon White, whose 40-year career at Crossett and Cabot led to six state championships, nine state runner-up finishes and 26 conference titles. Before retiring last year, White coached the Weeks twins, Lexi and Tori, who are seniors at the University of Arkansas and are considered among the world’s elite pole vaulters. Lexi Weeks Jacobus made the USA Olympic Team in 2016. The class also includes Kenneth Davis, a hurdler/sprinter who earned All-Arkansas Intercollegiate and NAIA All-American honors four consecutive years at UCA; and Anthony Hampton, a high school standout at West Memphis who was the Arkansas Gazette’s Track Athlete of the Year in 1989, when he was the Class AAAA state champion in the 100-, 200- and 400-meters, and, competing for Arkansas State, went on to win the Sun Belt Conference 100 and 55-meter indoor titles four consecutive years while remaining undefeated in the conference in short sprints (indoor and outdoor) for four years. Also to be honored are Lewis Pike, who was the AIC and NAIA 110-meter hurdle champion for Henderson State from 1974-77, qualified for the Olympic Trials in 1976, was an NAIA All-American in 1977 and ran for the USA in the World Games; and Doug Spencer, a Little Rock Central standout in the mid-1960s who went on to run the 440 and mile relay for the University of Alabama and continued his running career at the World Masters, USA Track and Field National Masters and Senior Olympics. He was a member of the winning 4×100 relay team at the World Masters Championships in Australia in 2001. Tickets for the banquet are $50 per person ($52 if purchased by credit card) or $500 for a table of 10. Orders should be mailed to Charles Tadlock, P.O. Box 211, Sheridan, AR 72150 and must be received by Sunday, May 26, to be guaranteed. A confirmation card or email will be sent for orders received by May 26. Tickets may be picked up at the ATFHF registration desk after 5 p.m. May 31. For more information, contact Miller at 501.329.6103.